PUNE: Two more regiments of the supersonic cruise missile, BRAHMOS, will be inducted into Indian Army within next fifteen days, Defence Minister Manohar Parrikar has said. "The process of induction of two more regiments (of BRAHMOS missile) in the Indian Army is in the final stage and within 15 days, these regiments will be inducted in Indian Army," he said in Pune on Thursday. The Defence Minister was speaking to reporters on the sidelines of the commissioning ceremony for the 50th batch of medical graduates of all three forces at the Armed Forces Medical College in Pune. 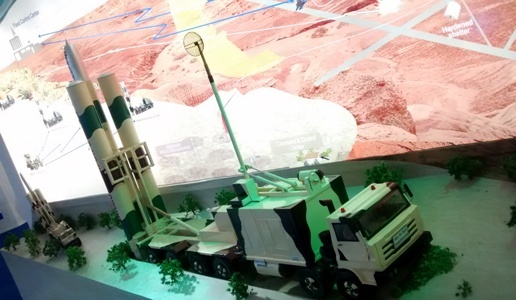 Army is already equipped with three regiments of Block III version of BRAHMOS missiles. The proposed induction will upgrade its air defence capabilities. Meanwhile, Parrikar dismissed reports that the Central government was inclined to buy Israeli missiles rather than inducting domestically-manufactured 'Akash' in the Army. "Akash is already being inducted in Army and we are also developing very short missiles and till we develop them successfully, some missiles might have to be brought from outside," he said. The minister said the "non-operational flab" in the armed forces needs to be slashed. "I have asked Army, Air Force and Navy to identify the flab areas in their respective forces as there is a lot of unwanted flab which has been continuing due to systematic problems that need to be trimmed," he said. Responding to a query on the Pathankot probe, he said the Joint Investigation Team (JIT) from Pakistan has been given access only to the "crime scene" whereas the operational base of air force has been barricaded. "NIA, which is investigating the case, permitted the JIT only because they are sure that there are some people from Pakistan who were involved in the attack," said Parrikar.